Thank you for your continued support of Egremont School. We sincerely appreciate the opportunity to provide an all encompassing learning environment for your child. We take great pride in our commitment to offering an outstanding educational organization filled with opportunities for student success, and we are proud to be your child’s “home away from home” during these crucial years of development and growth. Thank you for entrusting your children in our capable hands. Like every independent school, Egremont relies significantly on the contribution of our families in the form of charitable donations to maintain its dedicated faculty and staff, small class sizes, rigorous academic studies, quality cultural presentations and field trips, a safe learning environment, state-of-the-art technology, and extensive opportunities for student enrichment. Your donation provides current and future students with the means to enjoy an education filled with expanding opportunities in order to enhance skills for a lifetime of use. As a 501(c)(3) non-profit corporation, Egremont provides to all its donors specific tax benefits for making qualifying gifts towards essential programs and projects benefiting each student at the school and for future generations to come. Gifts to the Egremont Annual Fund are a primary source of funding to augment the operating budget beyond tuition income. Egremont relies on the generosity of parents, grandparents, alumni, faculty members, staff members, friends, and community donors to contribute at a level proportionate to their financial ability. Any gift amount, whether large or small, helps to generate funds necessary for the continued operation of our school... a gift recognized beyond words and graciously shared by many. Your generosity in giving to the Annual Fund is an investment in the education of every student, present and future, at Egremont. Our students of today are enjoying the benefits provided by previous generations of donors. Your support will provide for today’s students, and those of tomorrow. Together... we can build our future and make dreams come true! There are many different ways to make a gift to Egremont School, but all gifts are vital to the support of our annual needs. Annual fundraising activities are managed by Egremont's Business Office. Egremont School is a 501(c)(3) non-profit organization. Our Tax ID Number is 95-2409162. 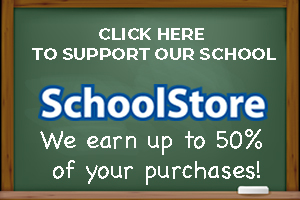 Shop Office Depot - Identify Egremont School when you check out and earn money for our school! Contribute to Egremont when you shop at Ralphs. 3. Click on "community contributions"
or click here to skip the steps above. The Annual Giving Campaign represents our main fundraising effort each year and funds Egremont's programs, which enhance our students' school experience. Program enhancements include such things as day field trips, library, technology, after-school athletics, visual arts, performing arts, and many other areas. Contributions to the Annual Giving Campaign can be in cash, stock/property, or in-kind gifts. Contributions may be made by mail or in person.